From time immemorial, the assumption has been that unsecured loans pose no risk to the borrowers’ assets should the borrower default or be unable to repay the loan. This fallacy or misconception stems from the fact that unsecured loans do not require a person to pledge security prior to being approved. The thinking among the masses has been since there is no asset required as collateral, the concept that one might lose their asset is farfetched. However, the reality of things is that the above statement is a myth with no factual basis. The truth of the matter is that in as much as there is no collateral to secure the loan, the lender can still use proper legal channels to have one of your assets sold to recover the loan in question. Most of the time, sales people dangle the carrot of no security required to get as much people on board as possible. However, as the bible states, a lot of people do perish because of lack of knowledge. In reality, the idea of no security shouldn’t get in the heads of people who are applying for unsecured loans. 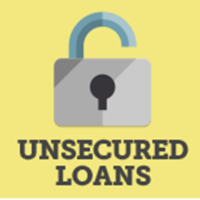 The major difference between unsecured loans and secured loans is not in the asset being pledged as security but rather in the length of time it takes to reclaim an asset whether pledged or not in the case of default. In essence, what has informed the incorrect argument or belief has to do with the misinformation, misconceptions as well as ignorance of existing credit laws. The myth is also informed by the fact that borrowers believe that lenders have few legal channels to follow in the case of unsecured loans. They couldn’t be more wrong as the only difference is the time it takes to reclaim property. 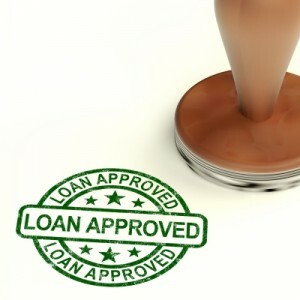 That aside, there is also another myth that unsecured loans do not pose any risk to the borrower. The assumption is that since there is no security required, the lender is the one who suffers the most should there be a default. This is a just myth with no truth in it. The truth of the matter is that there are a number of risks that the borrower will have to grapple with should they default on the loan. In fact, the consequences are pretty much the same if not worse as is the case with secured loans. If you take an unsecured loan and default on payment, you stand to worsen your credit score, you will also have to deal with high insurance premiums, high down payments, and high security deposits and so on and so forth. A default could also make it difficult for you to secure employment in the future or even to obtain various properties. With that in mind, let’s highlight the truth about unsecured loans. As you probably know, the first truth has to do with the fact that no collateral is required prior to approving the loan. Secondly, in as much as an asset is not pledged as security, the lender can follow legal channels to force the sale of an asset to recoup loan money. Thirdly, the legal action in unsecured loans tend to take longer but it is indeed available and therefore you need not work under the assumption that your property is safe should you default. Fourthly, defaulting on unsecured loans has the same effect or impact on your credit score as defaulting on secured loans would. In conclusion, it is important that you understand the risks and consequences of any loan product before making an application. Do not misuse the trust of an unsecured lender simply because you are under the illusion that you won’t lose your asset! Copyright © 2019 Jesta Loans. Theme: Creative Blog by Bishal Napit. Powered by WordPress.